All American Home Improvement LLC offers a lifetime non pro-rated complete replacement warranty. Our windows offer massive frame strength and are built to last while saving on your energy bill. Call us today for details at 812-746-1115. 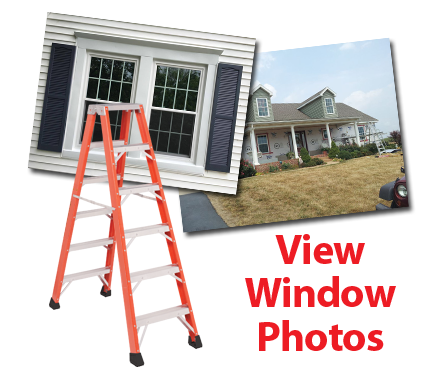 New windows for your home installed by All American Improvement, LLC can significantly boost curb appeal. Not only do our windows look great, they can increase the energy-efficiency of your home and reduce energy bills. We custom build your windows to fit your home. We are not a "one size fits all" company! For more information regarding our window repair, replacement and installation services in the Evansville, IN, area, call today. "The windows have proved to be as advertised! We are very happy with them. The installers did a great job. They left no mess behind." "I just had 16 windows installed in my home and I'm so proud of them. Now I can clean them all from the insdie and save on my heating and cooling bill. From the very begining I was impressed with the presentation they gave and the installers did a great job. I couldn't believe how fast they did the work and what a good job they did. Thanks to all of you." "Thank you so much for the great job you and the installation crew did on our home. We had been contemplating the installation of new windows for several years, but were reluctant to act. Your excellent demonstration of the quality and energy savings that new windows would provide made our minds up. It is truly amazing how much better our home looks and feels now. Everyone at All American should be commended for their very polite and professional work ethics. This was a very hassle free experience for us. We will definitely recommend All American to anyone who is in the market for new windows. "